While Waiting -- Blog Through Phone! I was at Seattle's Best Dela Rosa Makati when I wrote this post. I volunteered to pick up the fiancé from work as he did not bring his car and I don't want him to commute late hour at night (He ended up at 12mn earlier). So to kill time, I decided to make a blogpost using my phone (a Samsung S3) via the Blogerroid for Blogger App. 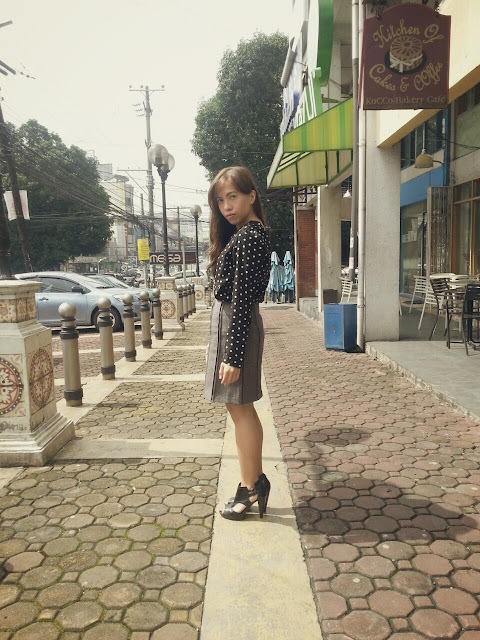 Good thing I asked Paolo to take my OOTD earlier when we had our quick lunch at Kozui. Forgetting to charge my DLSR battery was like a blessing in disguise for at least, I was able to edit and post my photos using my phone. We don't really prefer using camera phones for blog photos but I never realized its convenience til this moment. Using my phone, I was able to edit my photos using the Line Camera app, add a little filter and voila, have a presentable set of photos for blog post. 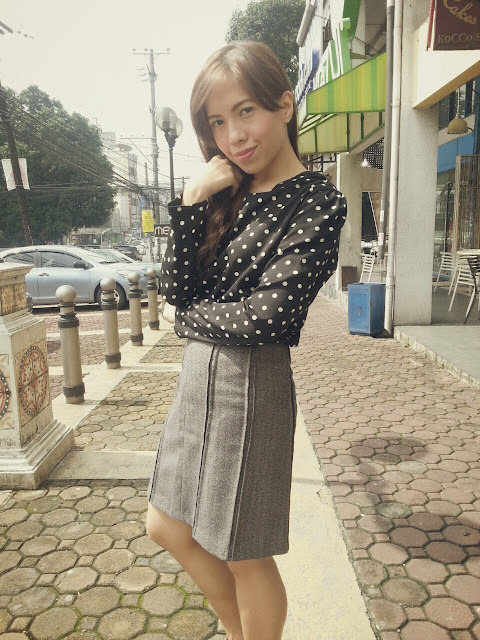 Wore this ensemble to work earlier because of the gloomy weather. We actually have a work uniform but every once in a while, I dress up in smart casual attire. 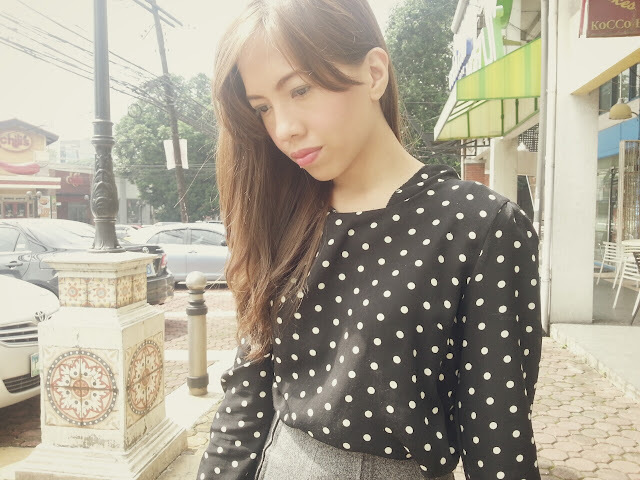 This polka dot top from SM GTW is actually my favorite because even though I bought this last year, it still make my corporate look a little funky. The only downfall of using the bloggeroid app is you cannot resize the photos. But still, I'm glad I was able to do something productive while I killed time. Was the post okay? I hope my camera can take good pictures as your phone camera! I do some post processing work for photos with my phone. It's nice you were able to maximize your phone and make a blogpost. You can carry the corporate look. wow! nice! i love your top! Ah I used to blog with my phone when my PC and lappy died on me. I had to do it for months! I survived! It was tougher than I thought but I did it! It's easy if you don'tneed to insert links but if you have mobile blogging is a bit difficult unless you have a wireless or attachable keyboard that is!